The story of many inventions. The Charleston was a new dance craze that everyone wanted to do when dancing. Many young people wanted to show that they were very athletic and flexible. The Miss America beauty pageant was created, rendering most girls crazy for the want of winning. The very first one was held in Atlantic City, in 1921. Flagpole sitting was invented, the amateur record for it was set by a girl whose name was Avon Foreman. The record was ten days, ten hours, ten minutes, and ten seconds. 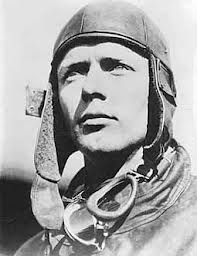 Charles Lindbergh was the first man to show his courageous side when he decided to fly solo across the Atlantic Ocean. His plane was called the Spirit of St. Louis, and it flew from New York to Paris. President Coolidge hosted a Gala celebration in honor of his successful flight. 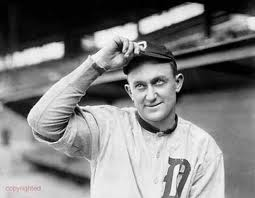 Ty Cobb and Babe Ruth, gave young American boys something to dream about, someone to look up to and strive to live in their footsteps, but due to problems outside of baseball the general youngster population was shielded from unpopular behavior. 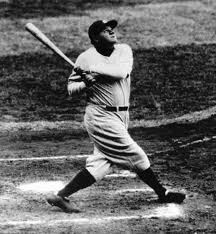 Was in the MLB, he played for the New York Yankee's and the Boston Red Sox's, as an outfielder and pitcher. He was 6'2" 215lbs, and was a lefty. Was born Feb. 6, 1895. Played for the Tigers and the Athletics, as an outfielder. He was 6'1" and 175, he batted left but threw right. Was born Dec. 18, 1886. Was the Chicago Bears halfback, and the short lived New York Yankee's. He was 6'. He was born June 13, 1903. 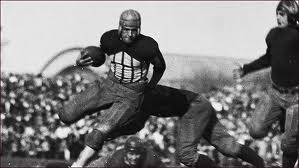 He was nicknamed the Galloping Ghost, because of his elusiveness on the field.